A leading independent machine tool supplier is tackling the skills gap head on after making a £6m commitment to developing a network of Technical Academies. Martin Doyle, Managing Director of the Engineering Technology Group (ETG), made the announcement at the launch of its first facility at Norton Motorcycles in Castle Donington today and laid out the vision to create a further 14 centres across the UK. The Academies, which will all be located on the site of a strategic manufacturing partner, will provide companies with the opportunity to upskill their staff on the latest CNC machine tools and precision technology, with some providing a full apprenticeship curriculum. They have been developed in collaboration with 14 like-minded technical partners with all of the training set to be provided by Ofsted ‘outstanding’ In-Comm Training. Each centre will also provide demonstration/showroom facilities and reflect the manufacturing expertise required by the region they are based in, ensuring firms get access to skills that will help them grow and individuals receive training that will help secure them employment. “There is a real need for industry to get to grips with developing the skills of the next generation of engineers and those already working in the sector,” explained Martin. “Put bluntly, the current education platform is broken and not relevant to the world we operate in. Instead of bemoaning our luck and lack of support, we’ve decided to do something about it with the launch of our national network. 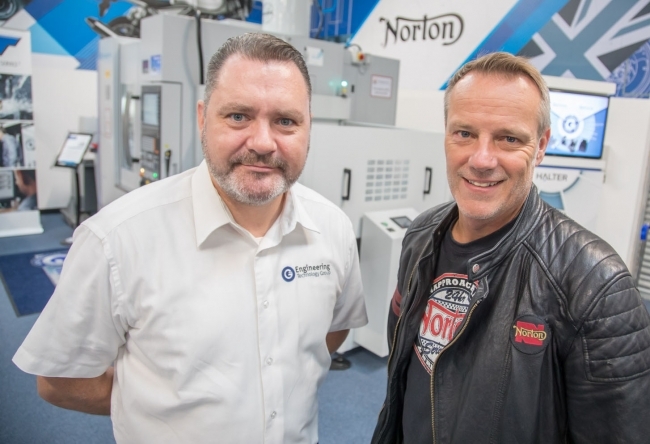 The 250 sq metre technical academy at Norton Motorcycles is the first to be officially launched and will feature a range of Bridgeport Hardinge, Quaser, Chiron and Nakamura CNC machines. Delegates heard how it will be open to companies looking to train their staff in advanced manufacturing, ETG customers and technical partners looking to demonstrate their technology on live projects. 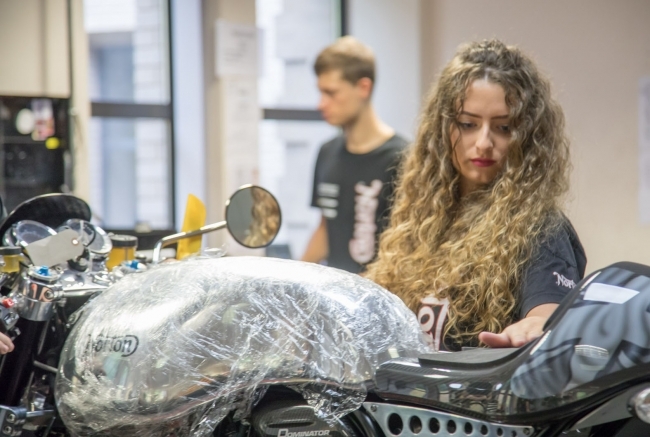 The centre will also act as a new prototyping cell for Norton where they can quickly trial the manufacture of new parts for their range of British-built bikes that are highly sought-after by enthusiasts across the world. 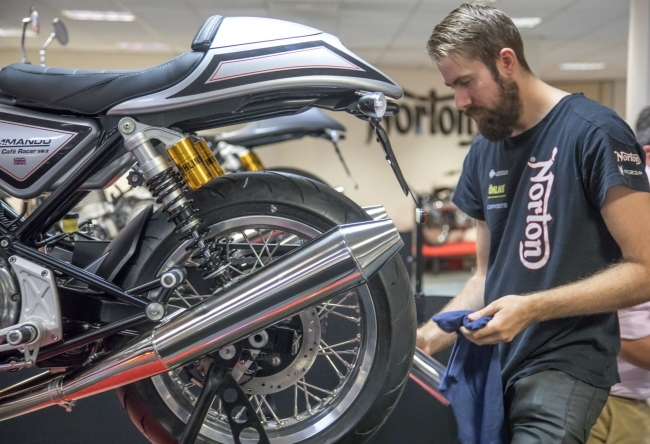 Stuart Garner, CEO of Norton Motorcycles, added his support: “We are very proud of our British heritage and the reputation UK manufacturing carries across the world. However, in order for us to remain competitive we have to take it into our own hands and do something about bridging the skills gap. ETG has agreements in place to shortly launch another six academies in Birmingham, Bridgnorth, Shrewsbury, Warwickshire, Tayside in Scotland and in Ireland. Negotiations are currently underway with partners in Lincolnshire, Northern Ireland, the North East, the South East, the South West and in the Thames Valley. Each site will feature ETG-supplied machines and technical partner equipment from the likes of Blum, Bott, Cimco, Filtermist, Formation, Guhring, Halter, Houghton, Hyfore, LNS, Mastercam, Nikken and WNT. In addition to training, each academy will stage open days, product launches and best practice seminars focused on the aerospace, automotive, medical and oil and gas sectors.